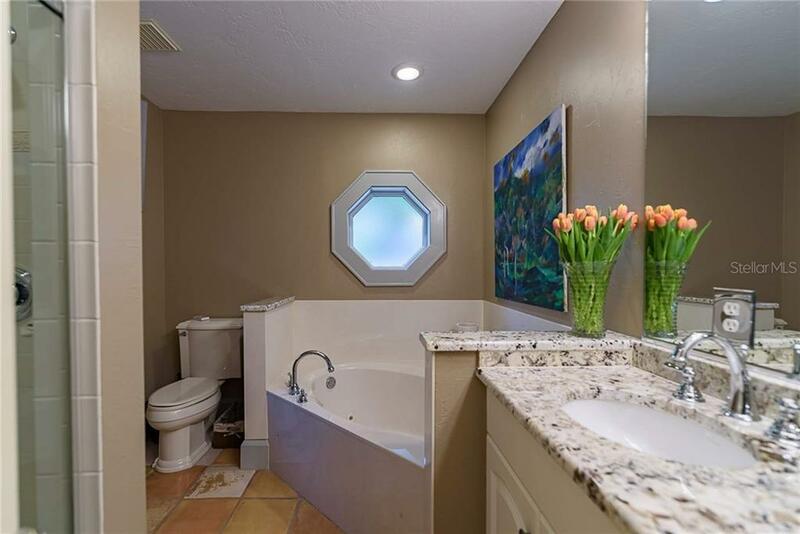 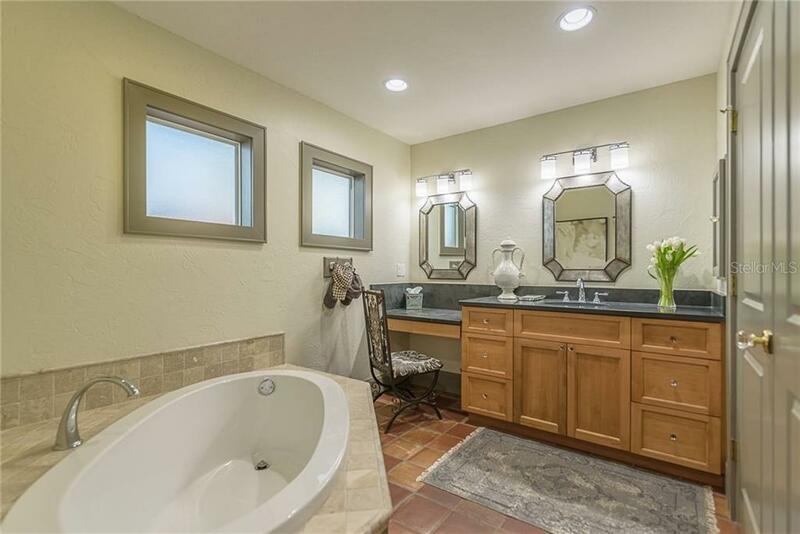 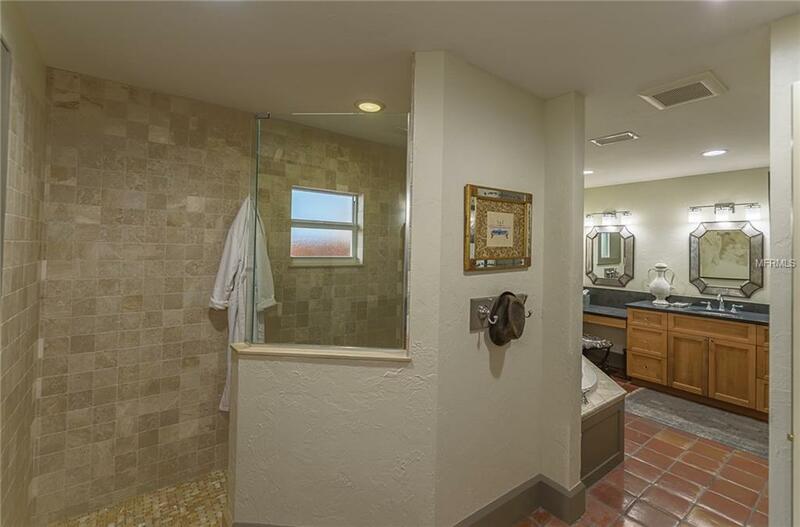 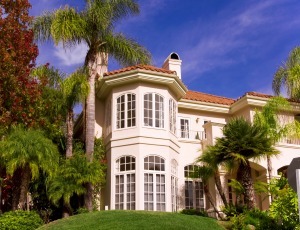 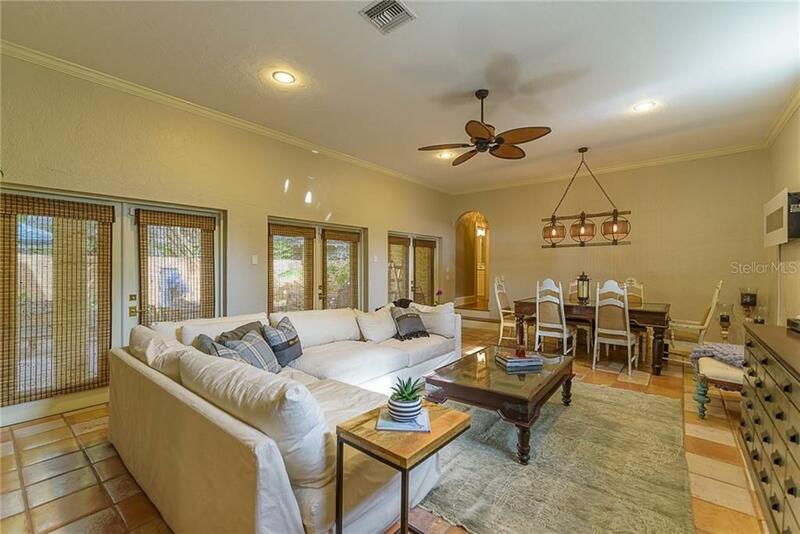 This one of a kind 1925 Spanish Mediterranean home is in the highly sought after west of trail location. 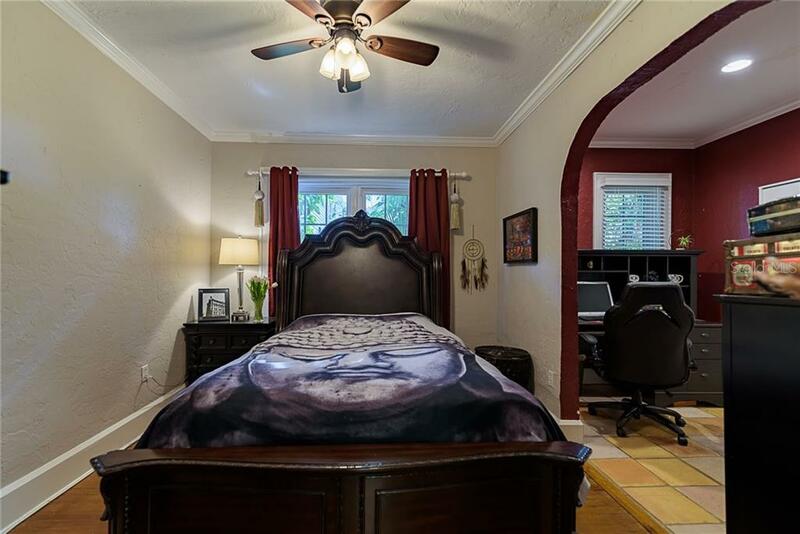 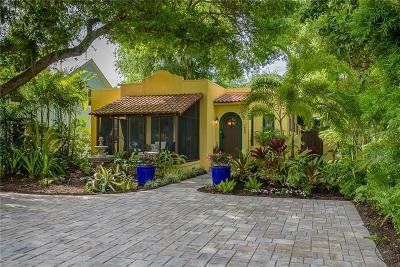 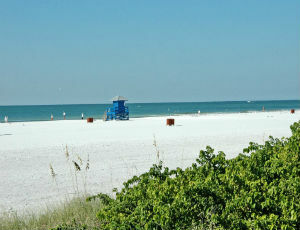 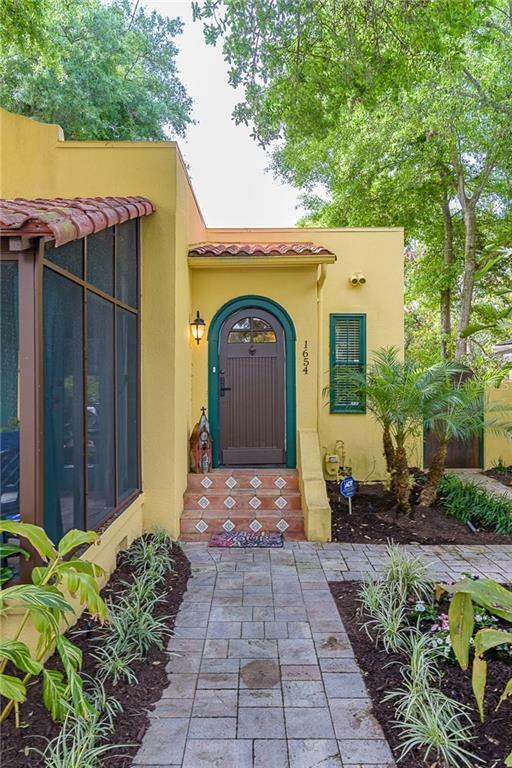 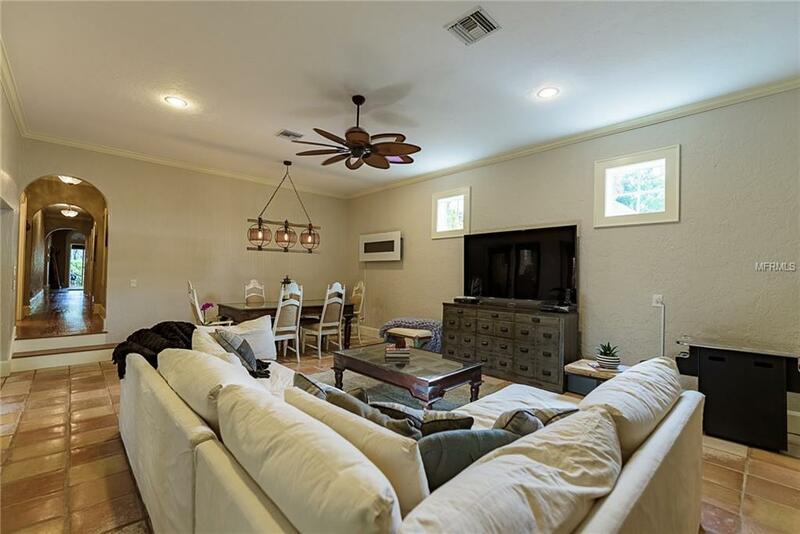 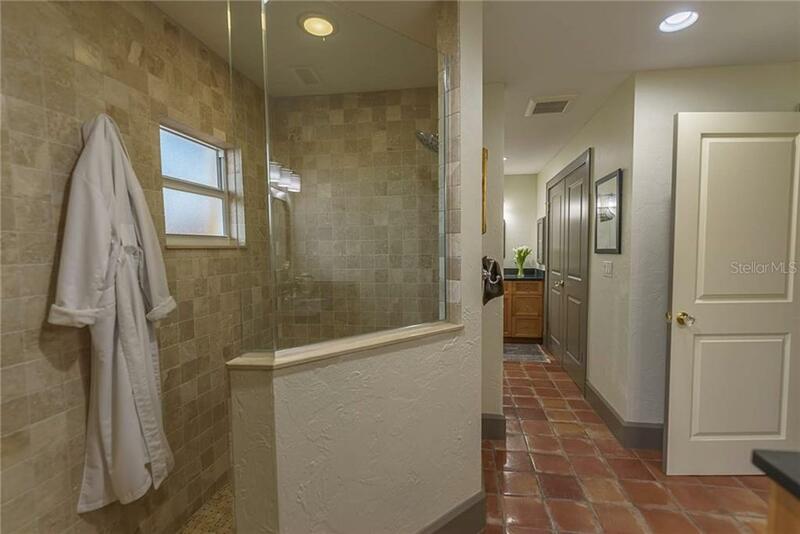 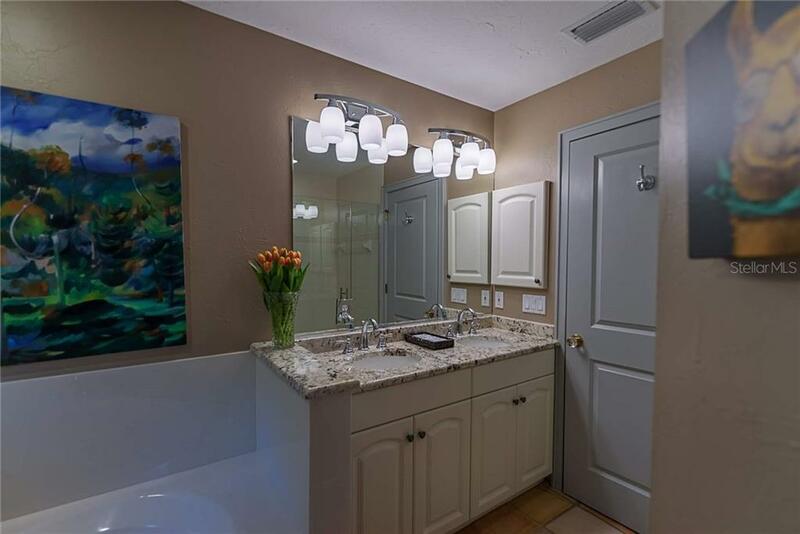 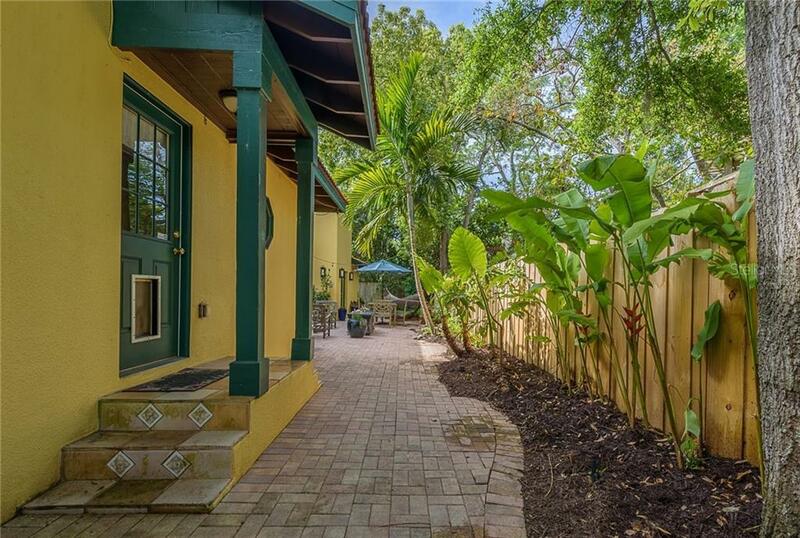 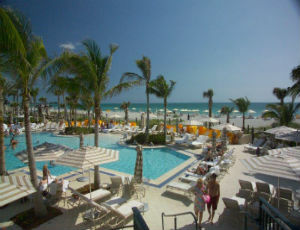 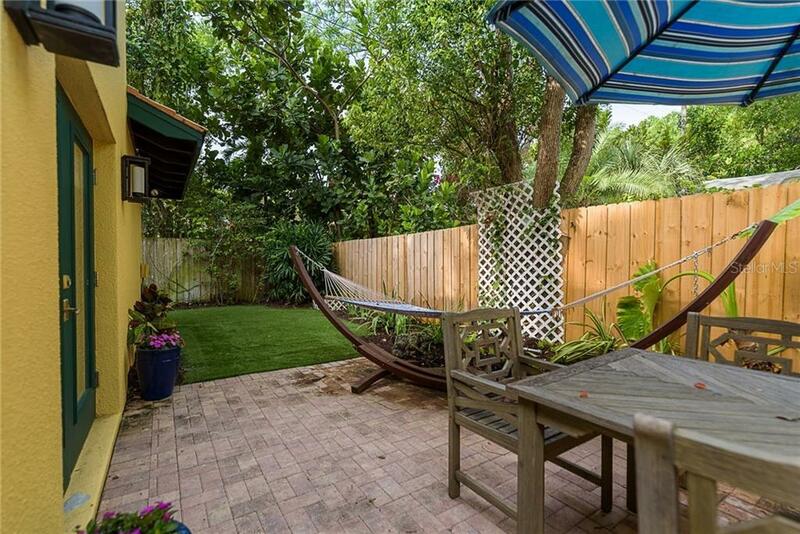 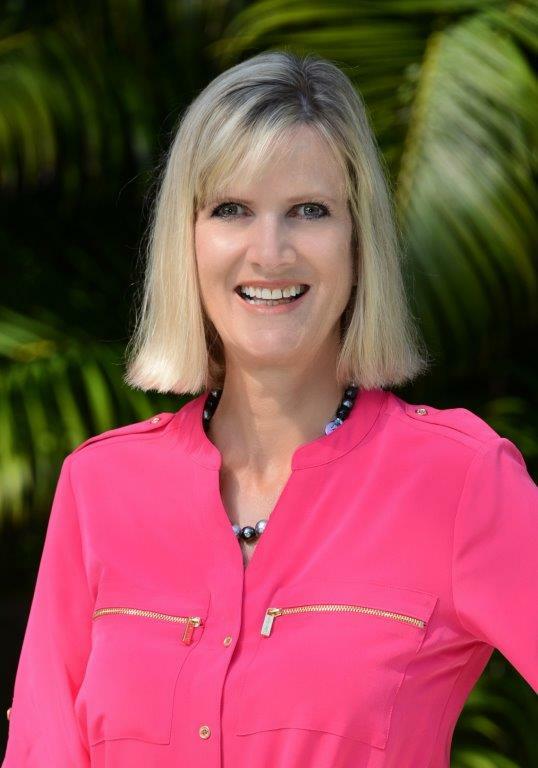 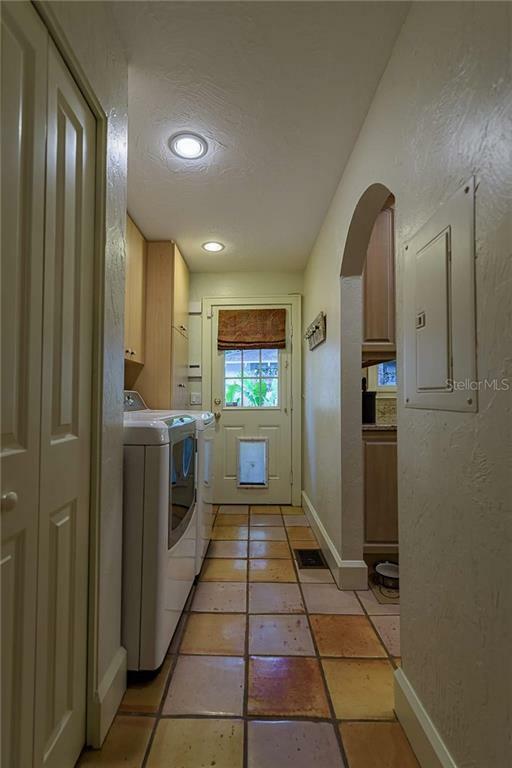 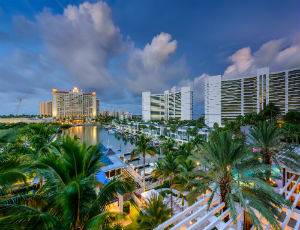 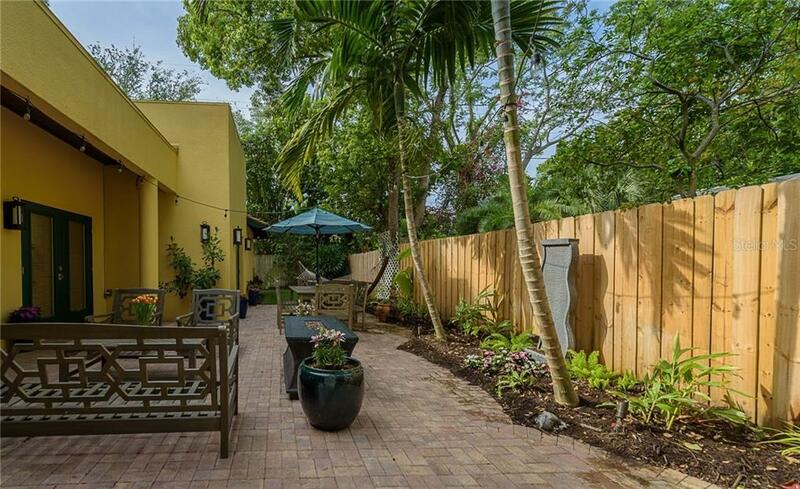 Within walking distance to Southside Village or Selby Gardens and just one mile from downtown Sarasota. 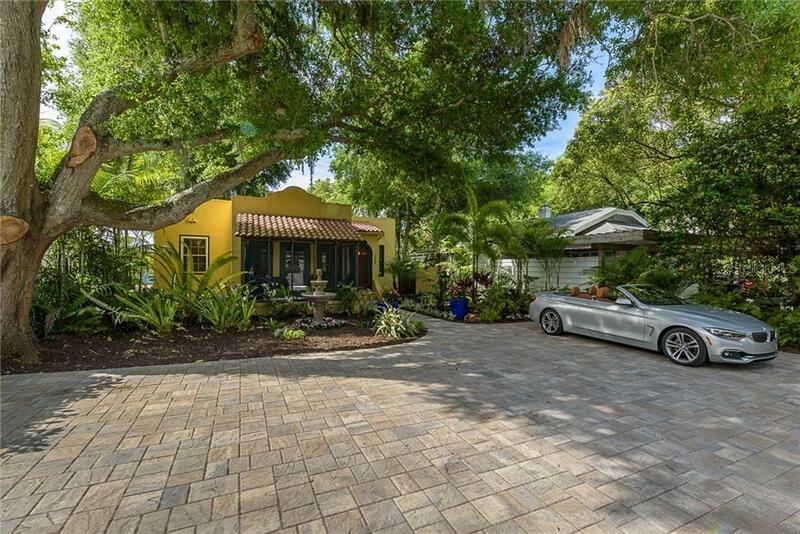 The new brick paver driveway welcomes you to lush landscape with a two tiered fountain. 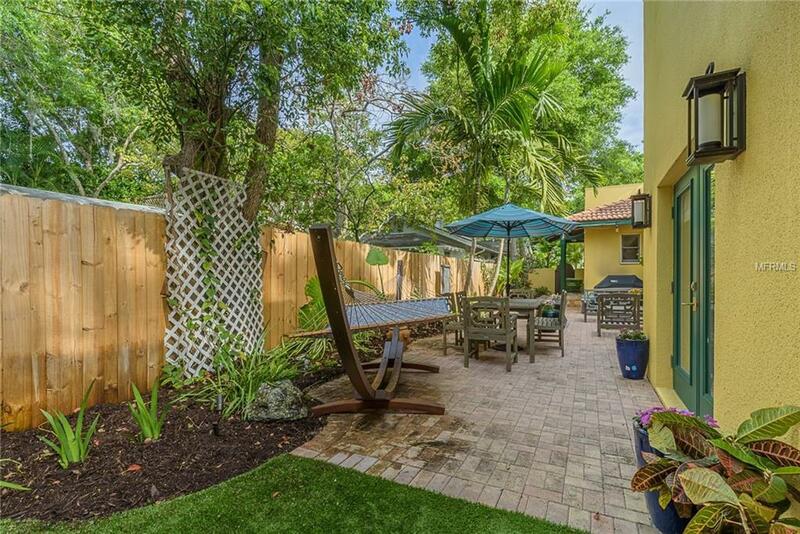 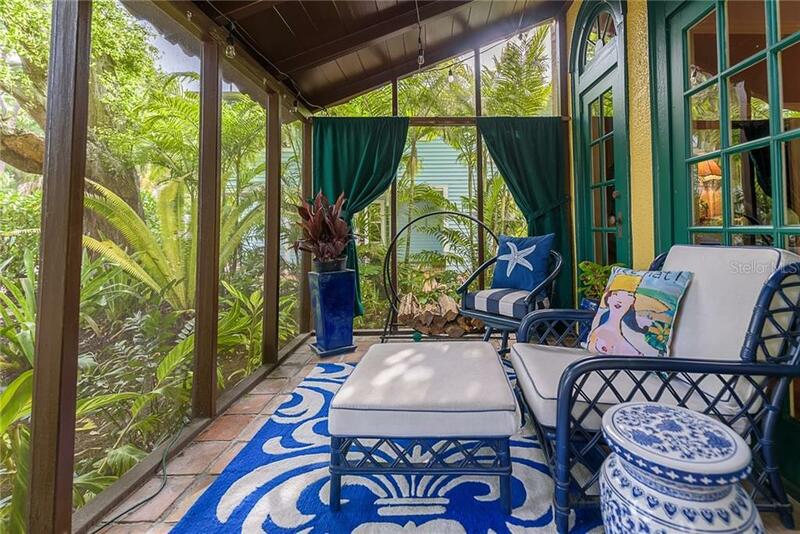 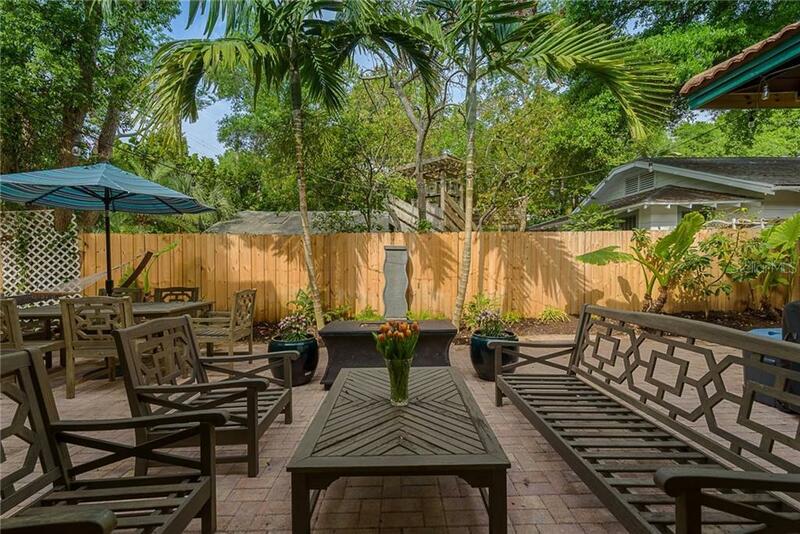 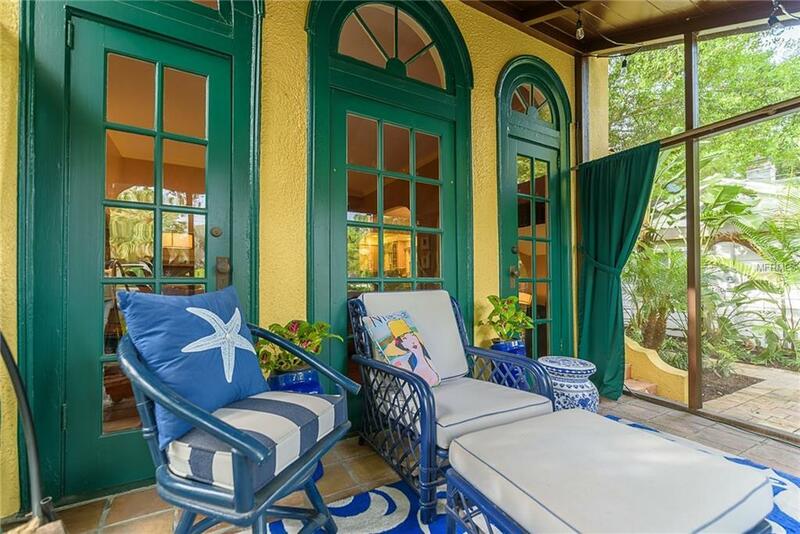 Enjoy a delightful Florida breeze on the fully screened front patio. 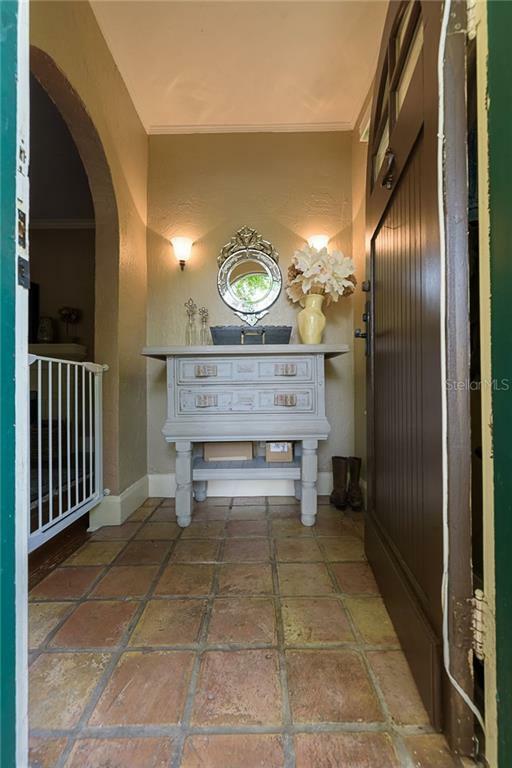 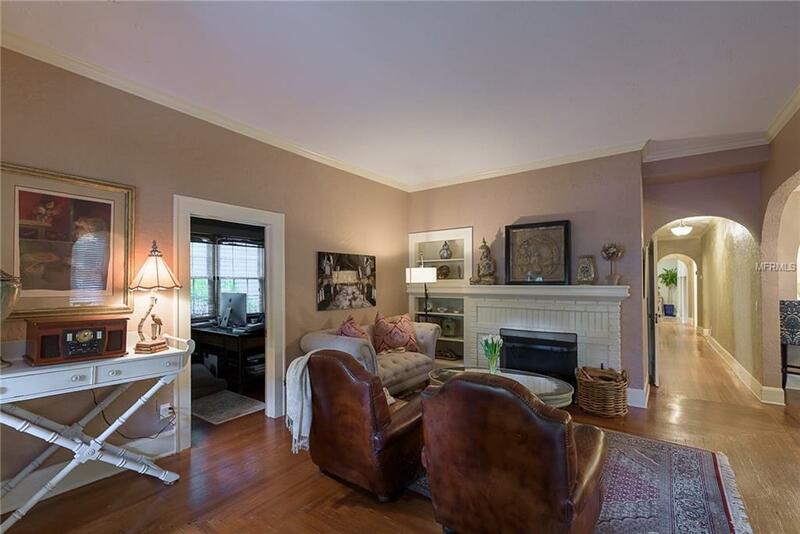 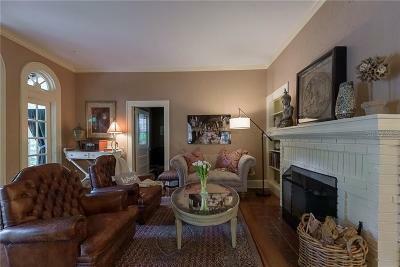 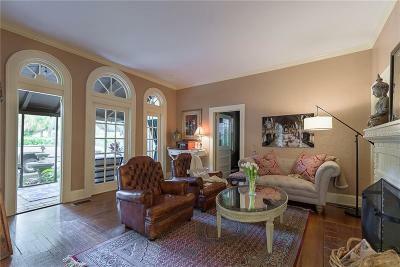 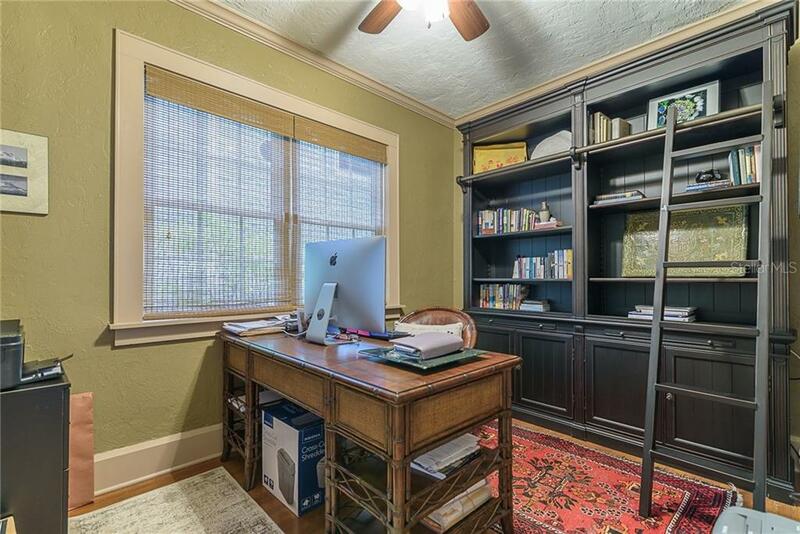 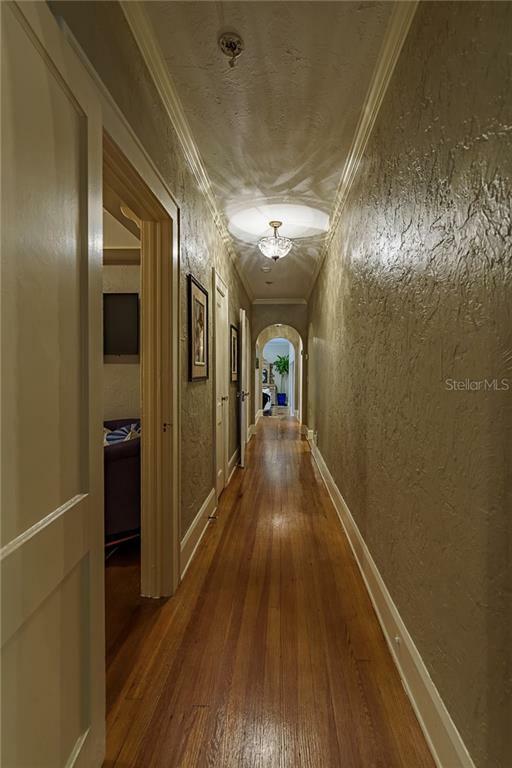 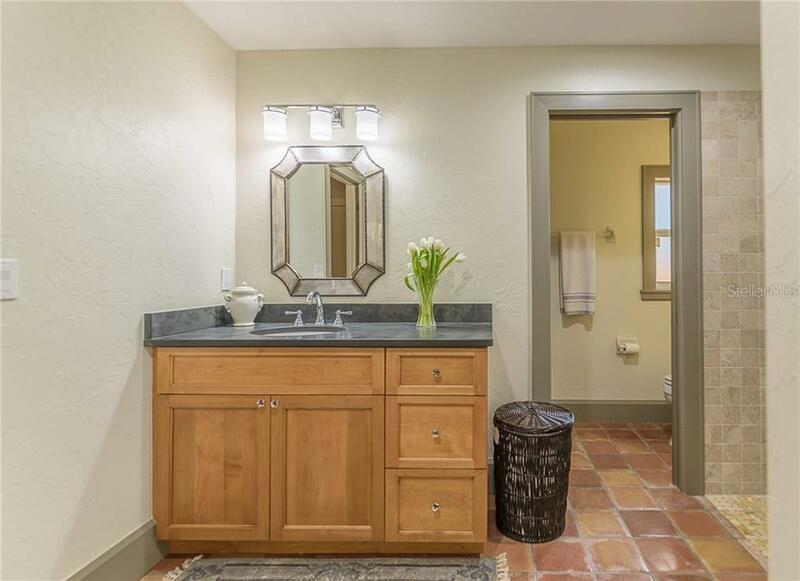 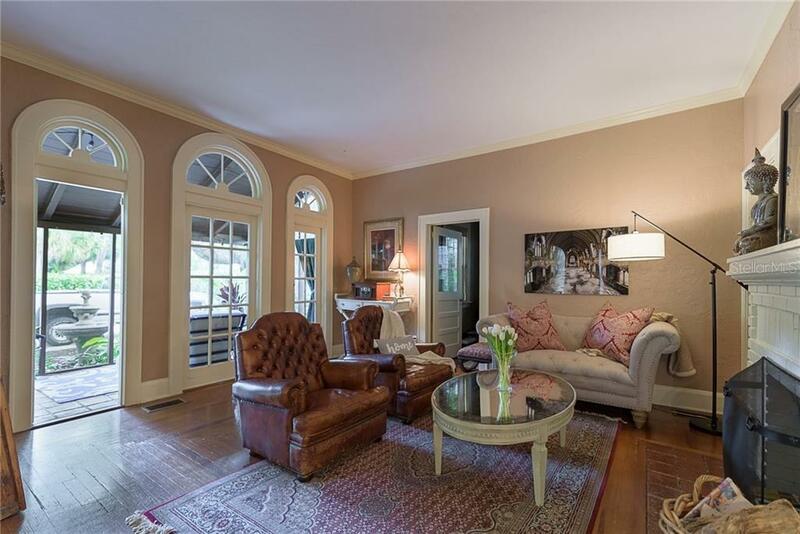 The home is adorned with original architectural decor including the beautiful heart pine wood flooring. Crown molding, built in bookcase and wood burning fireplace make the living room the perfect spot for entertaining or just relaxing. 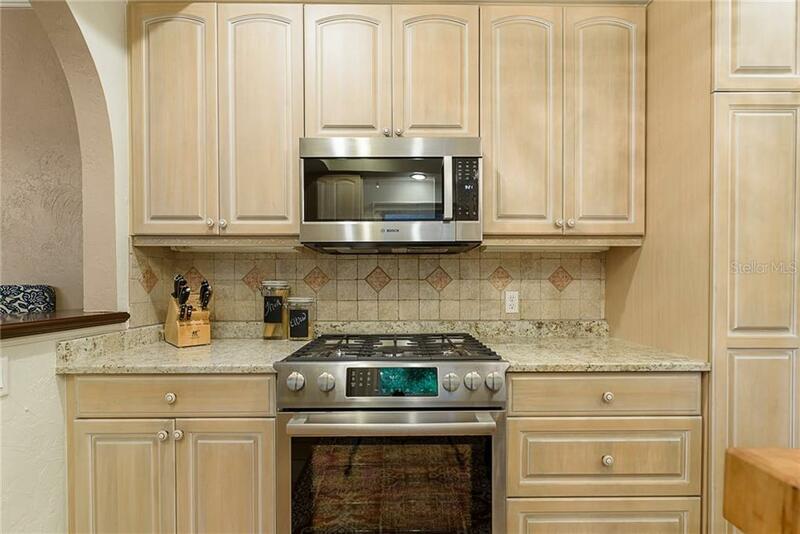 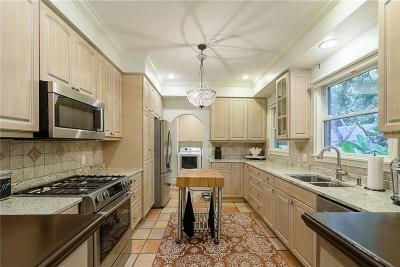 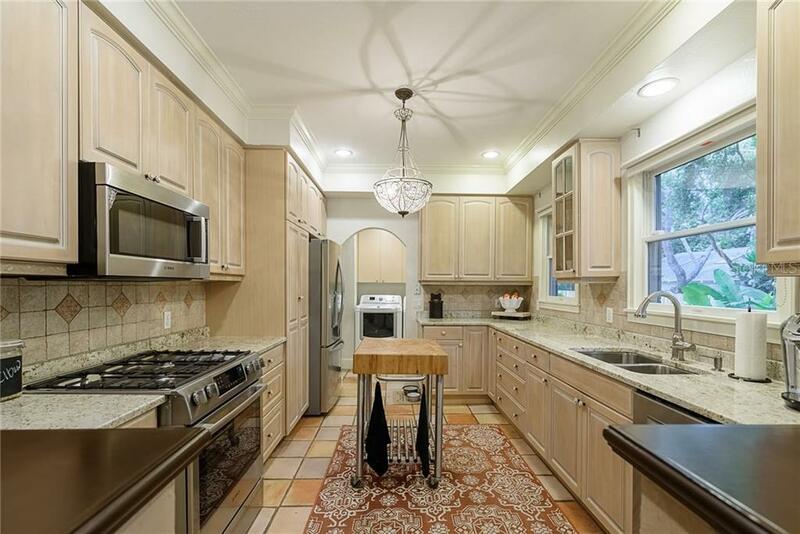 The kitchen is enhanced with wood cabinetry, granite countertops and high end appliances. You will love cooking while visiting with family and friends in the open to dining room feel. 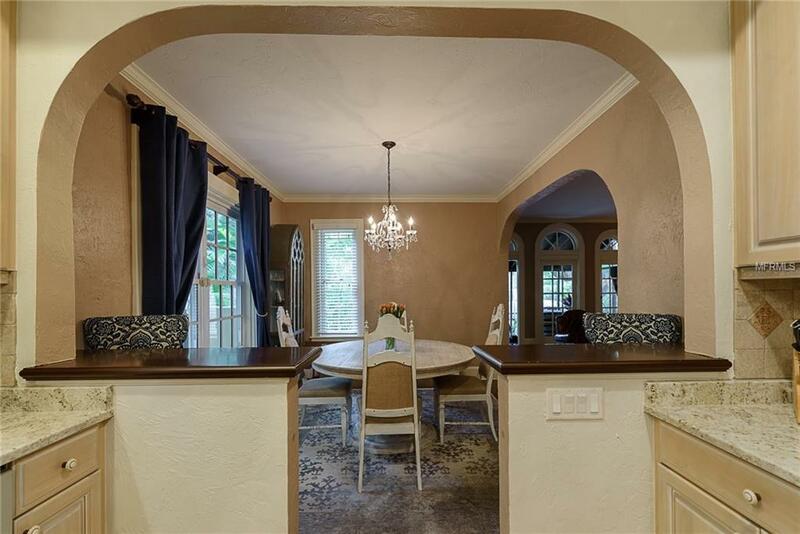 Open the three sets of French doors in the combination family dining area to a beautifully bricked side yard with plenty of room to entertain around the built in propane fire pit. 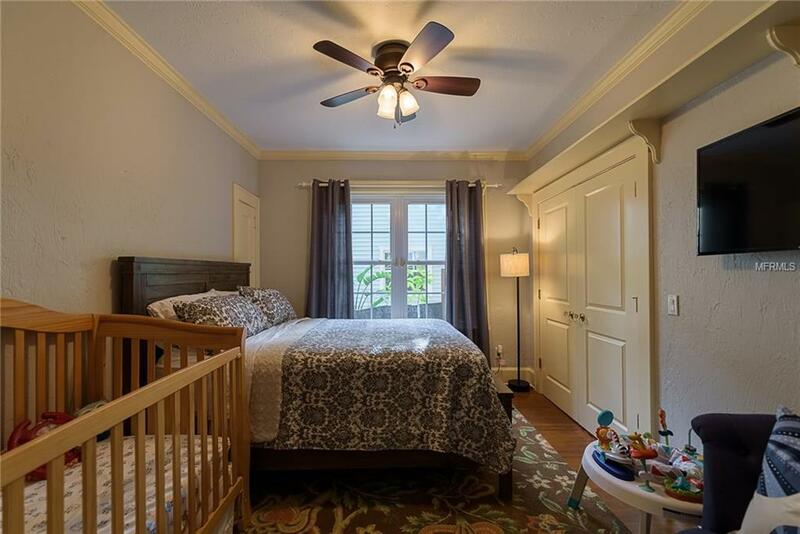 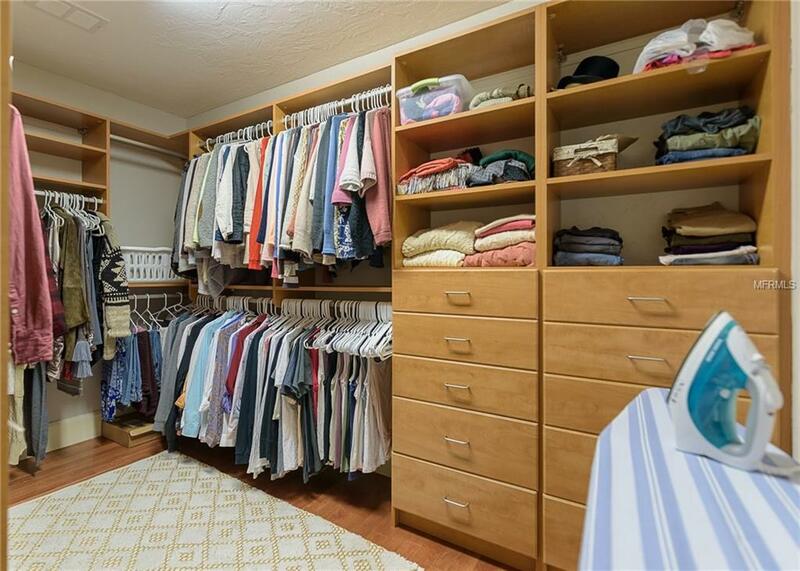 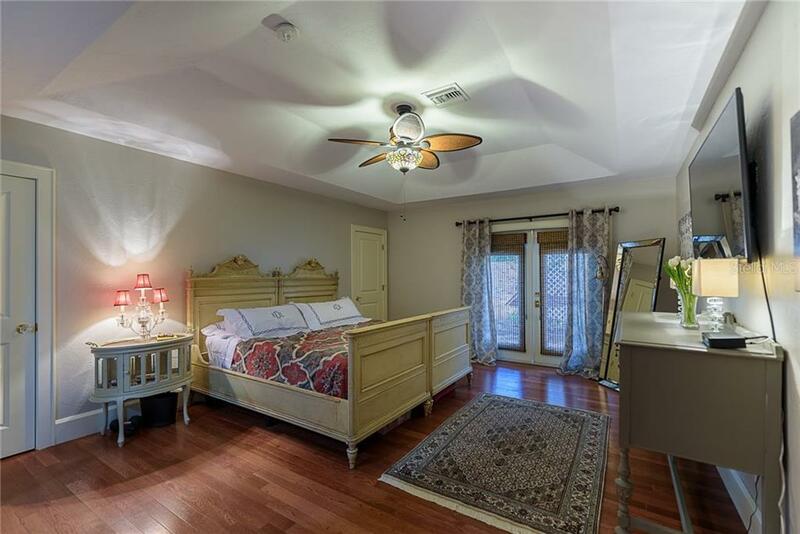 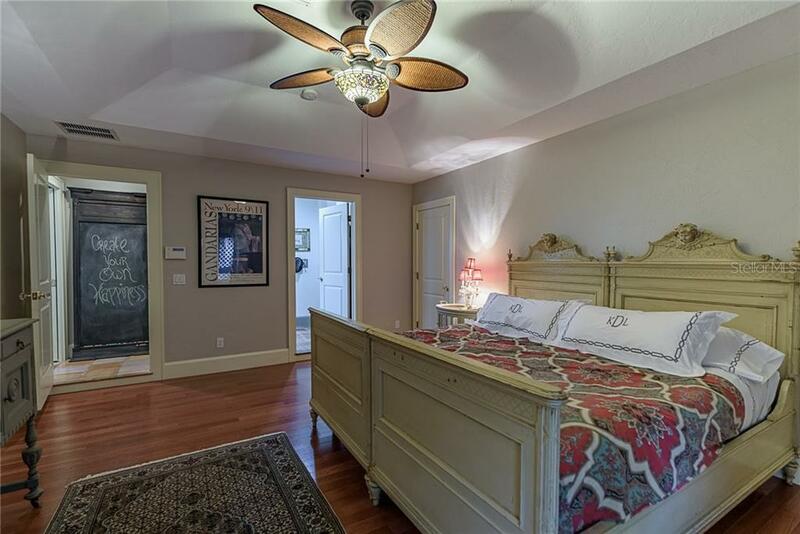 The master bedroom includes two walk-in closets, trayed ceiling and an en-suite that could have its own zip code. 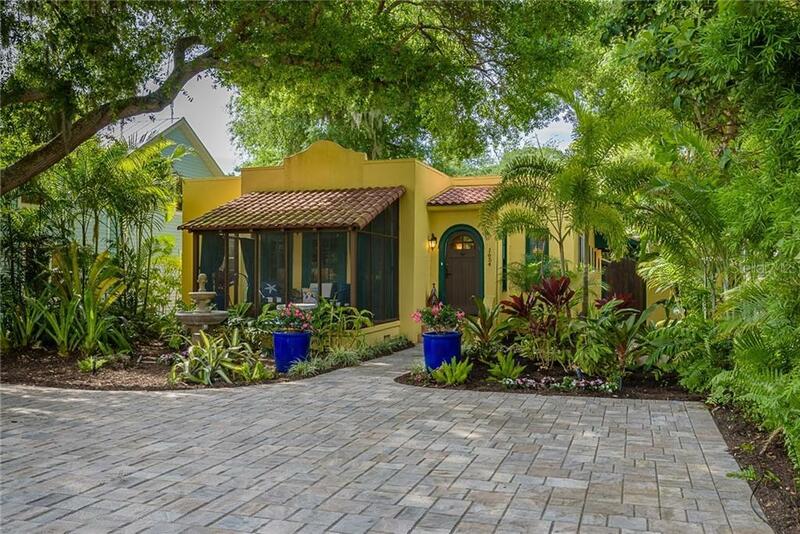 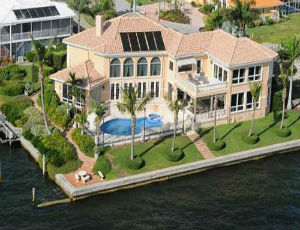 This home is an absolute must see!